I’ll try to make this as short and sweet as possible, if that can even be done for such a groundbreaking show. TWD has been breaking ratings records left and right, particularly beginning with season 3. 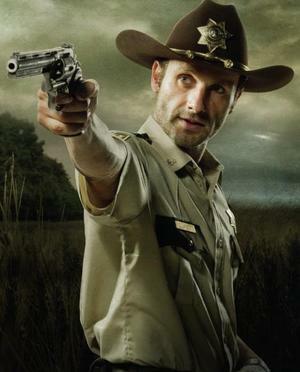 TWD follows Rick Grimes, former police officer turned survivor group leader in the zombie apocalypse. As is standard in most zombie tales, the cause of the walking dead is at this time unknown. A new character introduced in season 4, Eugene, claims to have special knowledge of a cure for the virus, but readers of the comic may know better. I say that with a wink and a nod, but even such “inside baseball” is not guaranteed on this show. When you hear that the show is based on the comics by Robert Kirkman, that really just means it has the same title, some of the same characters, and some similarities in the story. It’s like the show is in the same creek as the comics, but it’s following an entirely different path down the stream. So even avid readers of the comics can’t be confident that they know anymore than anyone else. Along the way, you’ve been able to pick out some very general rules that the show employs. Here are a few I’ve noticed. If you try to maintain a certain pre-apocalypse morality, or are just super nice in general, you’re dead. Case in point: Dale was the show’s “moral compass” for the first two seasons, and even stood alone to speak up for the basic human rights of a boy who our main group was holding in a barn. Objective morality? Sick a walker on him! Secondly, Axel was a nicer-than-expected prisoner from season 3 that took a particular liking to Carol. His kindness at first was a little creepy, but we warmed up to him quickly. Can’t have that. Bullet to the head! Others killed off the nice-wagon might include: Patrick (season 4), Amy (season 1, Andrea’s sister), T-Dog (season 3). New life is a curse, not a blessing. Lori’s pregnancy in season 2 was tiptoed around for about 3 episodes as she tried to figure out, 1) whether to keep the baby and, 2) when/how to tell Rick. When she does give birth in season 3, she dies in labor, and her son Carl must shoot her post-mortem to stop re-animation. It’s one of the more heartbreaking losses in the show’s short history. Also, early in season 4, Glenn and Maggie had a pregnancy scare which Glenn was quite relieved at. The implication being that if Maggie were pregnant, it was bad news. Odd-couples abound. This was particularly true in season 4. Michonne and Carl become (good?) friends. Carol and Tyreese are traveling together (Carol murdered then burned Tyreese’s girlfriend). Daryl (backwoods redneck) and Beth (preacher’s daughter) share a vaguely romantic spark. Abraham (army sergeant) is fully relying on Eugene (doctor/professor) to add purpose to his mission. As the group encounter more and more people, expect this trend to continue and provide some interesting interactions. Fear the living > the dead. As people become further detached from their old life before the zombie-apocalypse, this trend becomes more and more apparent. Season 1 had (almost) no evidence of this, it started to creep in during season 2 (Shane’s antagonism as well as rogue groups), then finally with the introduction of the Governor in season 3, the walkers were now secondary in danger to other living people. So much so that a standard “3 question” rule was enacted in season 4 to decide whether a person was worthy of joining the prison group. Midway through season 4, the prison had to be abandoned after an onslaught from a group the Governor manipulated. 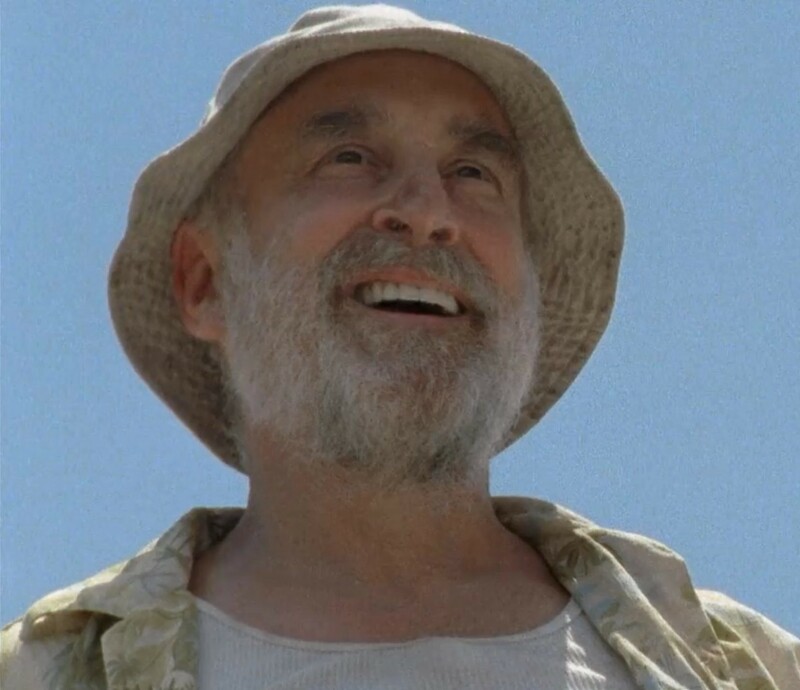 The only significant death in that encounter was that of Hershel, who again confirms this trend of killing off those who are too nice for their own good. 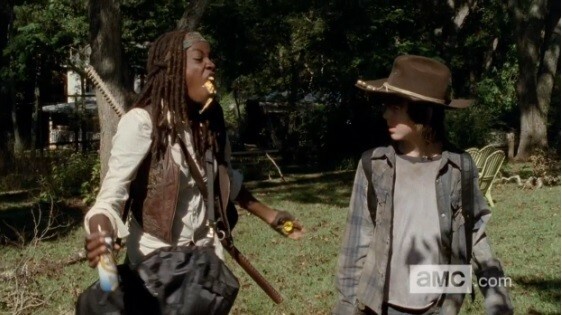 Oh, and the Governor finally ate Michonne’s sword (good riddance!). The group was scattered due to some VERY poor emergency planning. Despite that, they all end up on basically the same route along a railroad track leading to an alleged sanctuary called “Terminus”. Beth was with Daryl but she has been kidnapped. 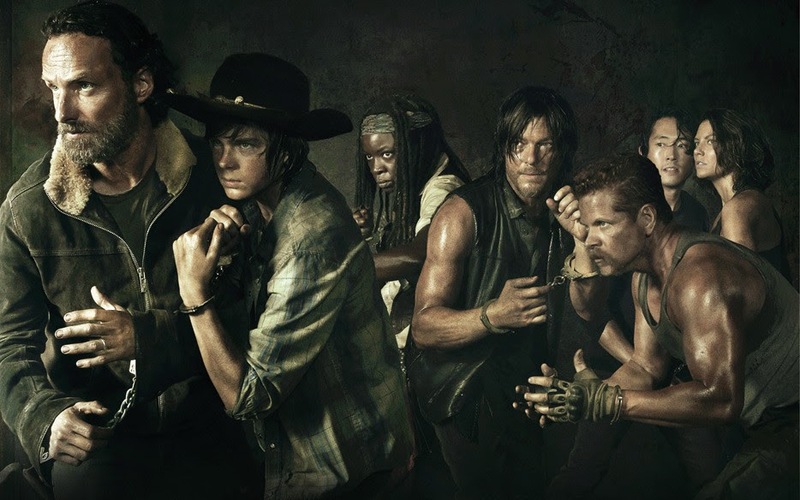 Daryl hooks up for a time with a rogue group but then reconnects with Rick, Carl and Michonne. By the time they make it to Terminus most of the rest of their group had made it there and were being held in a boxcar, or worse! Rick & Co. try to escape when they realize things aren’t as they seem, but they end up in the boxcar as well. Only Carol and Tyreese, with baby Judith, remain unaccounted for and on their way to Terminus. Who kidnapped Beth? Will Tyreese and Carol rescue the rest of the group? Are those living at Terminus cannibals? These are just some of the questions we’re all left with leading into season 5. If you’re a Christian and you’ve heard much about this show or even watched it, you may be very curious how we could possibly do a Christian perspective review of each episode. That’s a fair concern. There is a lot of bloody, gory violence in this show. Graphic beheadings, stabbings and some tough to watch head-stompings. Anyone even a little put off by violence in their entertainment has probably chosen to stay away. I completely respect that and I understand your concern in that regard. Certain violence is off the table in my book as well. However, other types of violence I have always been able to keep in perspective. It has never made me become more violent. It has never given me disturbing dreams or changed my opinion of when/where the use of violence is appropriate given a Christian worldview. I’m not saying I’m immune to it all, but it doesn’t bother me the way a profanity laced tirade or a sexually explicit scene would. 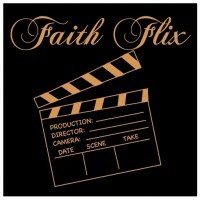 For that reason I consider some violence in movies/tv to be a “Romans 9” type of issue. (Christianese for saying we have freedom in this area rather than strict commands one way or another). So yes, TWD is very violent. But there is rarely an episode that some biblical principle hasn’t arose in my mind. Even season-long themes will inspire some Christian perspective. Consider season 4; the theme was all about coming back, or returning to your normal self. Rick is trying to come back from the terrible things he’s done. A woman he encounters in the woods asks him if he thinks he you can ever come back. “I hope”, is his reply. There were glimpses (however short) of the Governor trying to get back to normal. 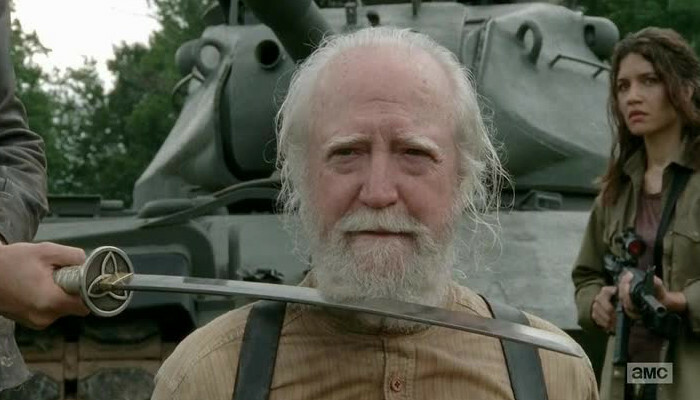 Hershel pleads with the Governor to remember the man he was before becoming the tyrant he was now. Rick, with the Governor threatening invasion and holding a sword at Hershel’s throat, pleads with him and appeals to him that they can all “come back” from what they’ve done to each other, even suggesting they can share the prison! (THE best moment in the shows history, in my opinion) There are a lot of things we can touch on with this show from a Christian perspective, and I hope to bring that out throughout season 5. Stay tuned for my season 5 premiere review soon!